What are they and how do they differ from head lice? Biologically, the principal difference between the head louse and the body louse is in habitat. Their physical appearance is so similar that it is almost impossible to visually tell them apart. The World Health Organization says that head lice as opposed to body lice is now the most prevalent parasitic infestation of humans in the United States and Europe. Head lice are ubiquitous in most developing countries. 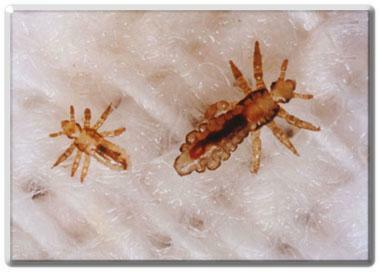 The head louse occurs primarily on the head and cements its eggs to the hair shafts. It can also infest the eyebrows and eyelashes. The body louse (commonly called the clothing louse) is found on the body and attaches its eggs to fibers of clothing, especially along the seams of the clothings inner surface. 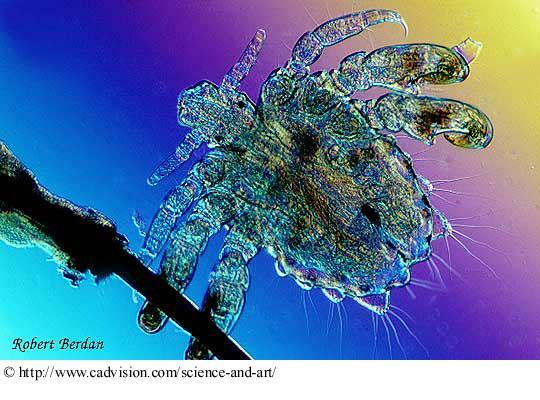 The body louse feeds less frequently and is generally more robust than the head louse. The crab louse is quite distinct from the head and body louse in its appearance, habits and location. It is principally found in the pubic and perianal regions, but occasionally may occur in coarse hair on other parts of the body (Buxton, 1947; Busvine, 1966; Sholdt 1979). The term "body lice" is sometimes used to mean scabies. This confuses the issue when people seek help for their condition. Scabies represent an entirely different organism. 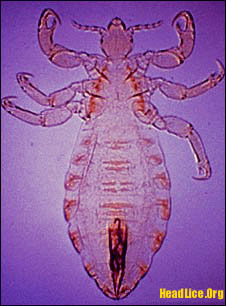 Pubic lice have been documented to infest the scalps of children but infestations of this type are not commonly reported.